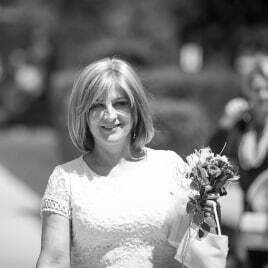 Adamina Molicka, 53 passed away Sunday, August 28th, 2016 in Presence Resurrection Medical Center in Chicago, IL with her family by her side. She lost her battle to cancer. Memorial mass will be held at St. Constance Church, 5843 W Strong St, Chicago, IL 60630 on Sunday, September 4th at 3:00 p.m.
She is survived by her daughters Joanna, Anna and Julia, her mother Danuta and her sister Dorota. Adamina will also be remembered by her nephews Peter and Paul and her sisters in Poland: Ela and Bozena. Healgrief has a memorial to share with you. https://healgrief.org/adamina-molicka/ We invite you to express condolences, share special memories and photos and light virtual candles to honor and celebrate the life of our loved one. We also invite you to share this with others who may want to be notified as well. You may do so by sharing the link or by clicking the “Share this Memorial” button from within the memorial itself.